Dr. Richard Kernagis and Jennifer Wynn Kernagis take pride in our general dentistry practice near Apollo Beach, and especially how we treat our patients. We perform a variety of general dentistry services, making us the go-to dentists for you, your children, and other family members. We want to be your dental home near Apollo Beach for oral health. Implementing high-quality technology, most of our dental procedures can be done in our office near Apollo Beach, and many of our treatments often can be performed in one visit! We have the ability to do more complex cases in the office without sending out to a lab or other specialist. We also work hard to make you feel comfortable. 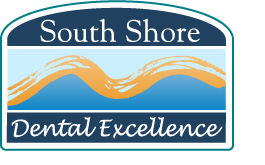 Our general dentistry procedures, our friendly staff in FishHawk and the little extras help you to know we really care about you and your dental hygiene. We listen to your concerns and invite you and your loved ones to visit us to talk about oral health and dental hygiene. Dental Crowns – A dental crown is an artificial tooth that, using CEREC technology, is a one-visit procedure that can cover imperfections in your smile or can serve as a base for dentures or other apparatus. Dental Fillings – We use natural-colored resin to handle any tooth decay. These fillings look just like your tooth and prevents you from suffering from any other decay in that tooth. They are also much safer than the metal fillings used in the past. Dental Bonding – When you have a tooth that is slightly misshapen, often our doctors choose to use dental bonding to repair it. Dental bonding is simply putty that bonds to your tooth and then is shaped to repair the tooth. Dental Hygiene – Your oral health is important to us, so we do a variety of services to help ensure you have a bright, clean, healthy smile. We offer regular teeth cleaning, and we also instruct you and your loved ones on proper dental hygiene and oral health. Dental Sealings – One of the best ways to encourage dental hygiene and good oral health is to have dental sealing put on your teeth. This sealing is like a “varnish” painted onto your teeth that gives them an extra protection against decay. Drs. Richard and Jennifer Kernagis and their friendly staff in FishHawk are well-trained and happy to take care of all your oral health and dental hygiene needs.